Every once in a while there’s good live music on TV. The best shows are by smaller nonprofits: my favorite, Austin City Limits is on PBS, the BBC has Later… With Jools Holland, and of course NPR has video streams of Live From Here and Tiny Desk Concerts. But these are small, specialty programs aimed at the cognoscenti. 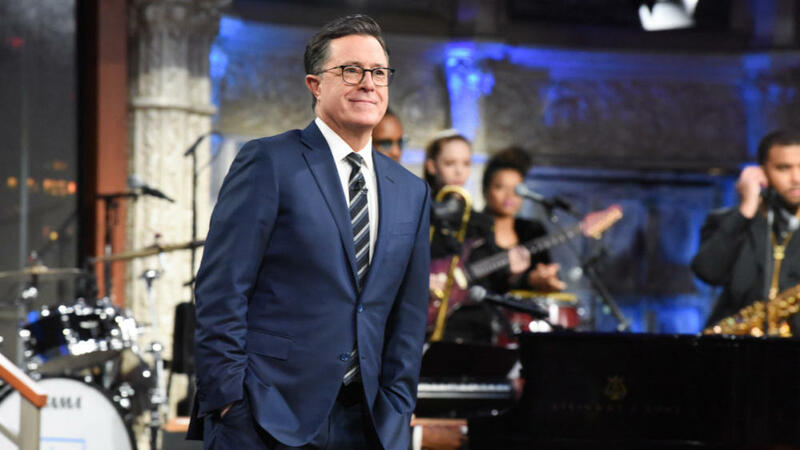 Other than the weekly guests on Saturday Night Live, it’s the late-night talk shows that consistently bring live performances to a large TV audience. Even in the post-internet era, Fallon, Conan, Meyers, Colbert, and Corden succeed at making live music a part of their daily programming. Who has the best musical guests is a matter of taste, but I think The Late Show With Stephen Colbert has the edge, quality-wise. But live music is all about getting to know the artists; The Late Late Show excels because James Corden has so much interaction - witness “Carpool Karaoke.” The house bands are also important; here we have to make mention of The Roots’ steady gig on the Tonight Show With Jimmy Fallon. I like when I see an act I’ve never heard before. Here’s an example: a supergroup called August Greene that came to my attention when they played on Late Night with Seth Meyers a couple weeks ago. This trio includes Common, one of the world’s most famous rappers, along with two A-list jazz musician/producers, pianist Robert Glasper and drummer Karriem Riggins. Yes, we should be asleep this late at night, but the insomnia is occasionally worth it. Americana/Soul singer from Denver - played Colbert May 17. Performed on Conan May 23 and Colbert May 7. Rachel Price is one of the best singers alive, in my estimation. Check out all the live cuts they have on YouTube.